To allow ample time for all patients and scheduled surgical procedures, we operate primarily by appointment. Same day appointment slots can often be made - please call us at 508-478-7300 to see what is available. Emergency cases shall always receive top priority, which is why occasional appointment delay is inevitable. Please realize that we make a sincere attempt to see each client on time; please make an effort to be on time for your appointment. 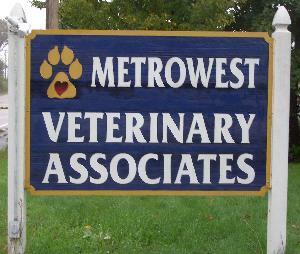 For your convenience, drop-off appointments are available, where you could bring your pet at the time that works best for you and leave him/her with us until the examination and/or treatment is done. Drop-off visits should be scheduled in advance. Usually we will ask you to drop off sometime in the morning so our doctors can examine the patient in between appointments or at the time purposely reserved for admitted patients. Once the doctor has finished, you will be contacted to review the findings. Note that there is an additional charge for boarding/hospitalization for drop-off cases. Patients should be fasted after midnight the night prior to surgery unless otherwise directed by the drs. or staff (an exception is rabbits which should be brought in with food and not fasted). Drop-off time is 8:00-8:30 AM. Please make sure to read and sign the consent form(s) at time of admission and to leave a phone number where you can be reached in case the Dr. has any questions. For your protection, and that of others, all dogs should be on a leash and properly controlled while in the waiting area or exam rooms. Cats and other small mammals should be presented in an appropriate carrier or on a leash. Emergencies may be seen without an appointment during our hours of operation (please call ahead if possible to let us know that you are coming). Please note that an additional emergency fee may apply. After hours emergencies are referred to one of several Emergency centers in the area. Contact information for the local Emergency centers can be found by clicking HERE, or by telephoning the clinic after hours. We require full payment at the time that services are rendered unless prior arrangements have been made. For your convenience, we accept cash and personal checks, Visa, Mastercard, Discover, American Express. Please note that there is a $25.00 charge for all checks returned by the bank.